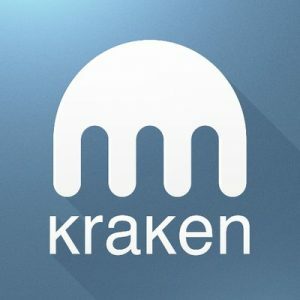 Kraken, a San Francisco, CA-based digital asset exchange, acquired Crypto Facilities, a London, UK-based regulated cryptocurrency trading platform and index provider, for a nine-figure amount. The exact amount of the deal was not disclosed. The combination of the two companies aims to create a global leader in cryptocurrency spot and futures trading. With the acquisition, Kraken adds products and services that complement its core spot exchange and OTC service. Clients will gain access to futures on six cryptocurrency pairs, providing a efficient way to trade and hedge cryptocurrency in any market environment. Led by Timo Schlaefer, CEO and Founder, Crypto Facilities offers individuals and institutions secure, 24/7 trading on a range of cryptocurrency derivatives. The company was the first regulated entity to list futures on Bitcoin, Ethereum, Ripple XRP, Litecoin and Bitcoin Cash and is also a cryptocurrency index provider, calculating the CME CF Bitcoin Reference Rate that powers the CME Group’s Bitcoin futures. Founded in 2011 and led by CEO Jesse Powell, Kraken delivers trading in 20 digital assets and 70+ currency pairs, and offers advanced charting, trading and portfolio tracking tools through Cryptowatch. It is used by more than 4 million clients in over 190 countries, including professionals, institutions and authorities. The company’s previous acquisitions include: major Bitcoin exchanges Coinsetter, Cavirtex and CleverCoin; the wallet funding service Glidera; and the multi-exchange charting, trading and portfolio tracking platform Cryptowatch. Kraken is backed by Hummingbird Ventures, Blockchain Capital and Digital Currency Group, among others. Following the close of the deal, Crypto Facilities will remain based in London, benefiting from the regulatory oversight of the Financial Conduct Authority, and reflecting Kraken’s commitment to the UK as the leading financial and cryptocurrency hub in Europe.